Yahoo– The weekend is just around the corner! What better way to celebrate than with a drink in hand? Instead of your go-to espresso beverage or Olivia Pope-sized glass of vino, I recommend an Italian soda! After pampering ourselves with a lovely brunch, a bit of shopping, and much needed pedicures, my mother and I went next door to Arcadia Cafe in Ames, Iowa. We resisted the urge to order our beloved iced soy chai tea lattes and instead ventured into the Italian soda portion of the menu. My mom ordered a sparking lemonade Italian soda with lavender honey flavoring, and I got the raspberry peach flavor. I can summarize our thoughts in one word… divine. Not only were the beverages light and delicious, but they are also met our need for something refreshing on this humid spring day. After returning to my town home, we did a little wedding planning while sipping on the liquid goodness. 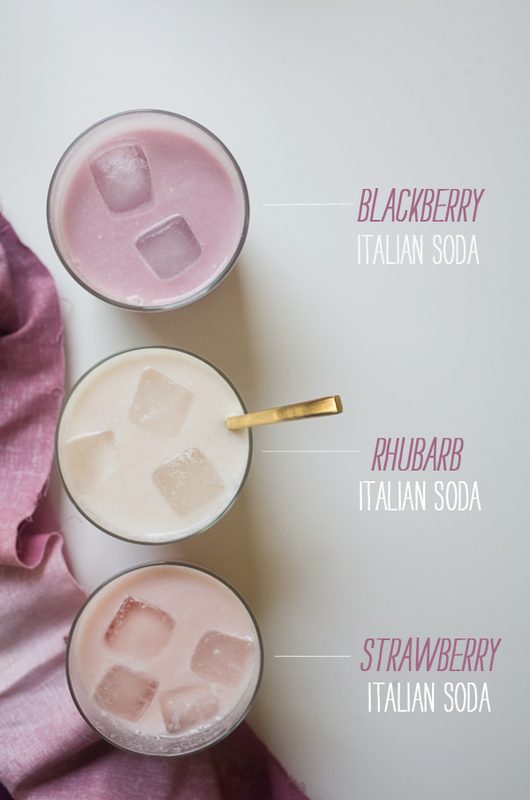 As soon as our cups ran dry, I was eager to find recipes so I can make Italian sodas at home. I found a cute blog called A Cozy Kitchen which shared three decadent varieties including a blackberry Italian soda. I cannot wait to try it out! To view the recipes, click on the link below; please let me know if you create any of the concoctions. I would love to hear how it went!